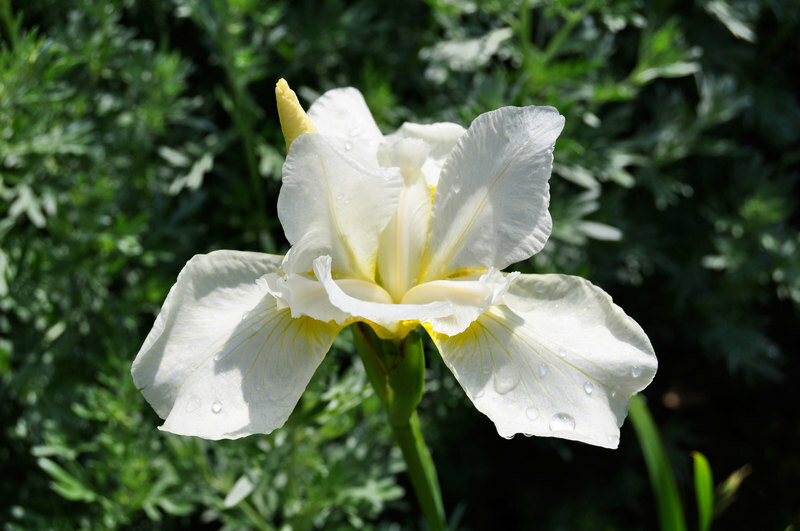 Siberian irises produce amongst of the most delicate iris flowers of all this large and varied family. 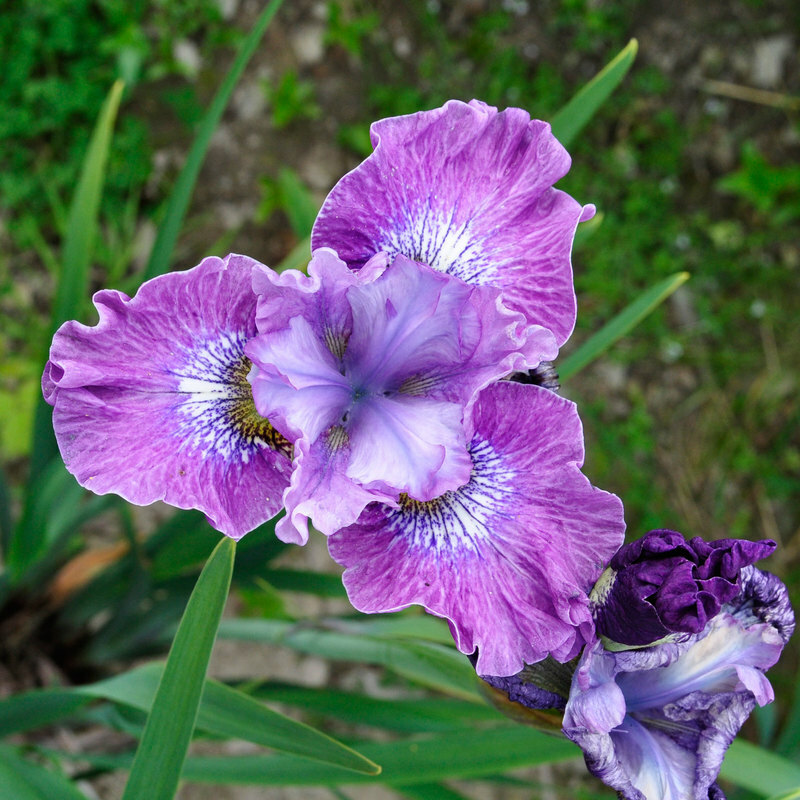 They are ideal for gardeners who have a wet, or acidic soil where bearded irises tend to rot off, and fail to grow. 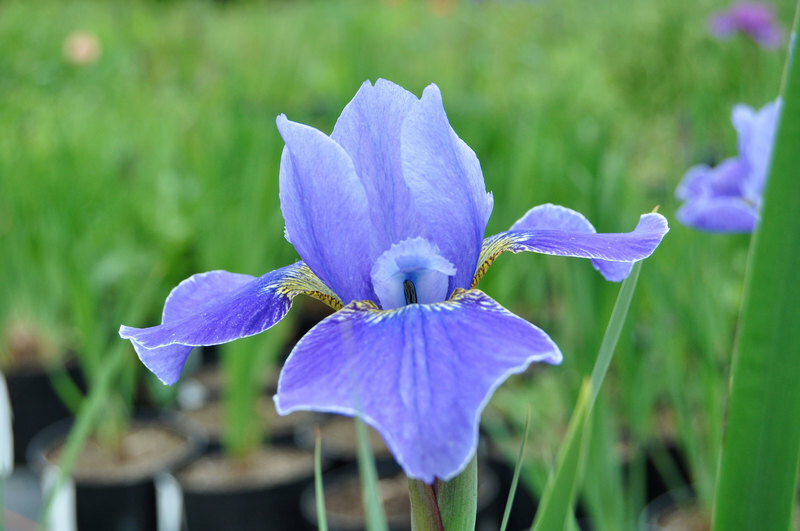 Sibirica, or siberian irises as they are commonly known produce slender leaves that form a very upright clump. Some varieties have thicker leaves that might arch out slightly, but generally, like all irises, the foliage is well behaved. They flower around the same time as bearded irises but the standards and falls are smaller. The flowers not as varied in colour, and found in shades of white (Iris 'White Swirl' BELOW) , lilac (Iris 'Strawberry Fair' LEFT) and blue (Iris 'Silver Edge' BELOW), with yellow varieties becoming more available. As the flowers are carried on stiff, slender stems just above the leaves, the whole effect is really graceful. These are very tough plants, thriving in almost any condition from sand to thick clay soils. In lighter, less moist soils they may take a while to establish, and need frequent watering to start with.